A simple smile can brighten up someone’s day. It can bring warmth in the office or at school and make someone feel more comfortable in a new environment. If you like to give a warm smile as much as you’d like to receive it, keep your teeth smile-ready. The first step to achieve this goal is to know the common dental problems and the ways to avoid these from happening. Discolored Teeth – Foods, drinks, and tobacco can leave awful stains on our teeth. To maintain the natural white color of your teeth, undergo regular dental care in Lincoln, California or other dental service providers near you. You can also choose to use a teeth whitening toothpaste on a daily basis. Tooth Decay – Intake of sweetened or acidic foods and drinks can also lead to tooth decay. Check your teeth every now and then. Visit an expert in preventive dental care in California if you can find any signs of cavities, no matter how small. 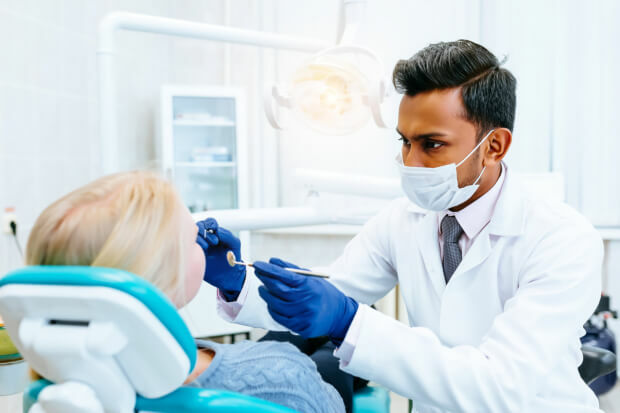 By visiting a dentist regularly for a cleaning, you can save yourself from the hassle and cost of undergoing dental filling or root canal procedure. Gum Disease – Did you know that majority of tooth loss cases is due to gum disease? Once the gum is infected, it won’t be able to hold the teeth together. Research shows that gum disease is usually due to poor dental hygiene. To prevent gum disease, make it a habit to brush your teeth and floss properly two times a day. Unless you got some congenital dental disorders, tooth problems are really just hygiene concerns. If you’re in California, visit Tooth Spa Dentistry regularly to avail of dental services to keep your teeth white and smile-ready. This entry was posted in Dental Problems and tagged Discolored Teeth, Gum Disease, tooth decay. Bookmark the permalink.